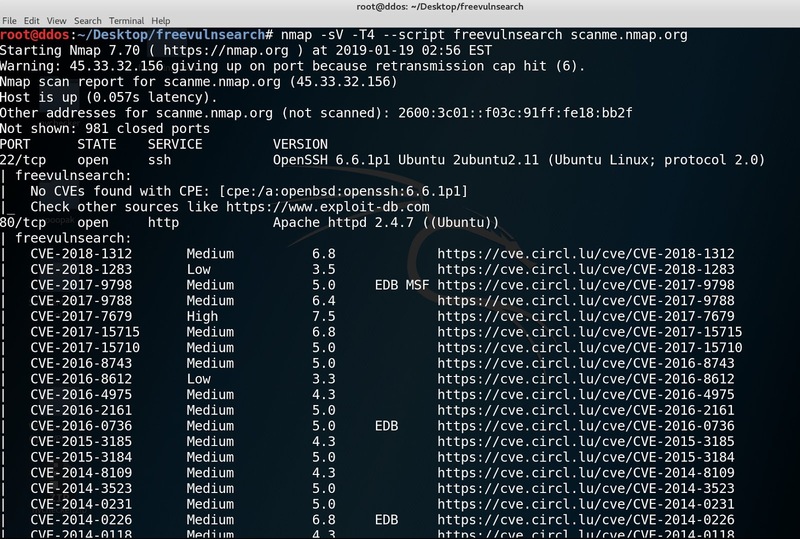 The CVEs are queried by default using the CPEs determined by NMAP via the ingenious and public API of the cve-search.org project, which is provided by circl.lu. For more information visit https://www.cve-search.org/api/. The queries are made using the determined CPE via the circl.lu API. For further information on the confidentiality of the circl.lu API, please visit https://www.circl.lu/services/cve-search/ directly. or copy the script into the appropriate directory of your NMAP installation. Important note: First read the confidentiality information. It is recommended to run freevulnsearch.nse separately without additional NSE scripts. If you do not want to make an assignment to the category safe, vuln and external, then do not execute the nmap --script-updatedb command mentioned above. The usage is simple, just use NMAP -sV and this script. According to my tests, for stability reasons, only http without TLS should be used when querying the API for many simultaneous requests. For this reason, you can optionally disable TLS using an input argument. Important, after that the API query to circl.lu is unencrypted. 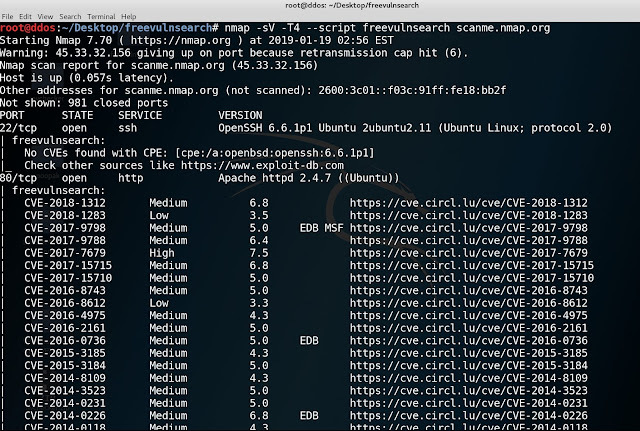 If you scan with the categories safe or vuln then exclude the script or the category external or do not add the script to the NMAP default directory. It is recommended to run freevulnsearch.nse separately without additional NSE scripts.